honorees have demonstrated invaluable impact to both their profession and their companies, and are on the fast track to becoming influential project leaders on an international scale. 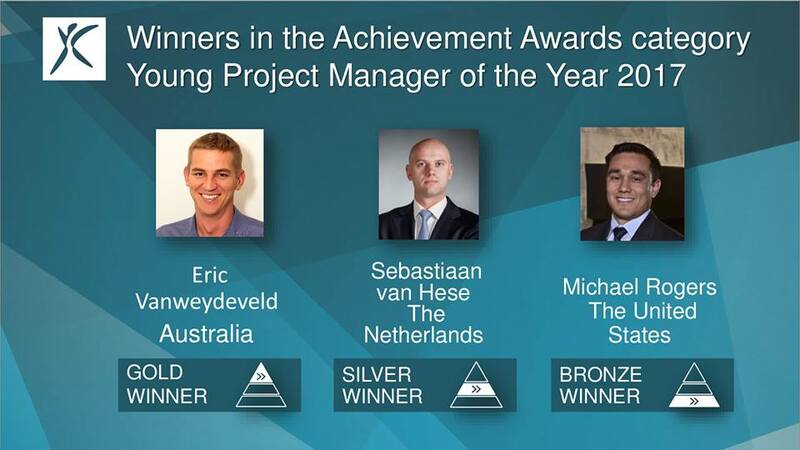 The IPMA Young Project Manager of the Year is open to project managers aged between 18 to 35 at the time of applying; project professionals who have worked or are currently working on a project for at least six months. The criteria for evaluation of the award is based upon the ICB4 (IPMA Competence Baseline), and finalists will be chosen based upon the strength of their overall competence development. Members and non-members of IPMA are eligible to apply. The selection for the International level of the award will take place in July 2018. Among all participants, only the one with all the documentation filled as guidelines requirements will enter the second round of selection starting from mid-July 2018. The names of the top three finalists will be announced the beginning of August 2018. Find more details about the award at become.pm/ypmy.